One of the highlights of any wedding day is what you choose to serve when people come together after the ceremony and photos to enjoy good food and good company. How you make that decision will depend upon the type of affair that you have planned, the time of day of the ceremony, and of course your budget. Most importantly, you want to make sure that you have thought about the people attending and what special requirements they may have: a younger crowd is more adaptable with food than an older guest. Here are some things to keep in mind when making this big decision. Who should choose it: Couples celebrating at a catering facility, club, or ballroom, as well as oenophiles who want to pair each course with wine. Who should avoid it: Party animals. Dinners take time spent eating, not dancing or clinking glasses with anyone beyond your table. What to ask: The real price difference between seated dinners and buffets. You may assume plated dinners are pricier, but often they are not, because the caterer knows exactly how much food to order and prepare, whereas buffets have to accommodate multiple trippers. Who should choose it: Couples with close- knit friends and families who would enjoy the informality of a backyard, a barn, or a park wedding. Who should avoid it: Control freaks. If your friends are firing up the park grill themselves, burgers may be burned, food may go cold, and wayward Frisbees might come your way. You could hire a caterer, but staff may be trampling through your kitchen if you host the barbecue at your home. 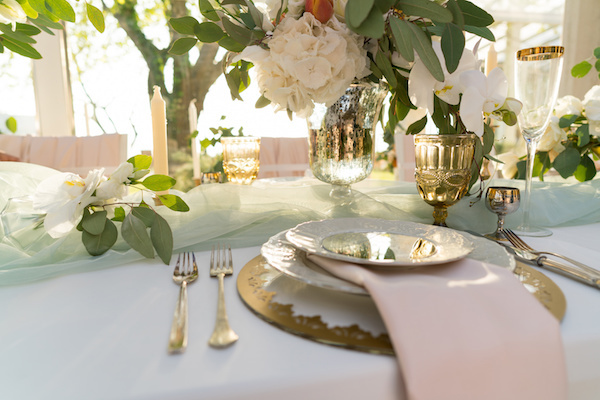 What to ask: Will the caterer have to bring in a cook tent? Even if you have access to a great gourmet kitchen, it might not be up to catering standards. Who should choose it: Those who want to offer several entrées. 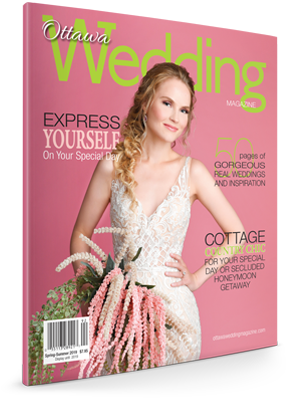 Planning a day wedding? Brunch dishes like muffins and fruit platters look lovely on a buffet, and omelets can be made to order. Who should avoid it: Couples with a 100-plus guest list (lines will form). What to ask: How long the food will sit out. Typically, buffets have a shelf life of about two to two and a half hours for both taste and health reasons. Also ask how the wait staff will direct buffet traffic (it’s best to invite tables to head to the buffet one at a time) and clear dirty plates. Who should choose it: Duos on a budget. You can offer hors d’oeuvres for less money than a sit-down meal. (Just be sure to keep the party under three hours. If you go longer, the cost difference between the two parties is negligible.) This may also appeal to couples with a 300-plus guest list and second-time-arounders. Who should avoid it: Brides seeking the spotlight. Cocktail parties tend to skip introductions of the couple, first dances, and dances with parents.